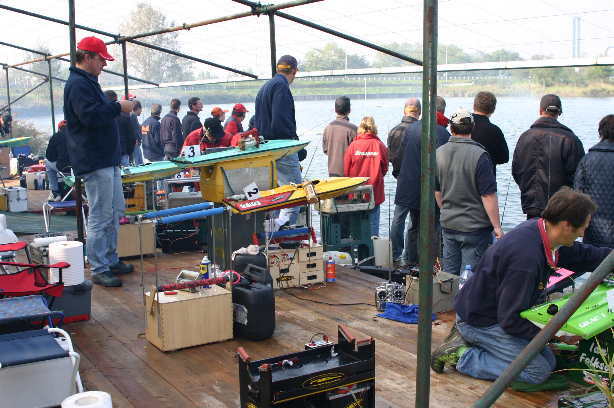 Six hour 3 man team race. 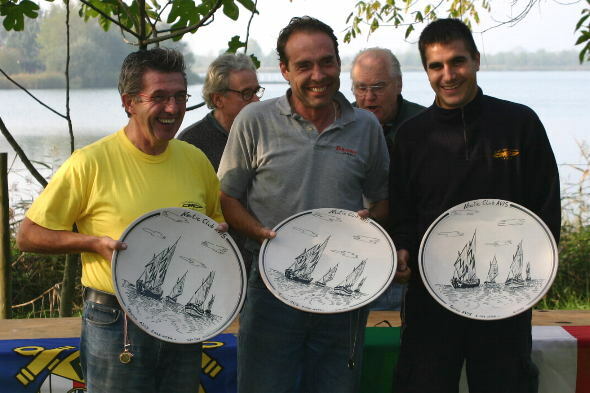 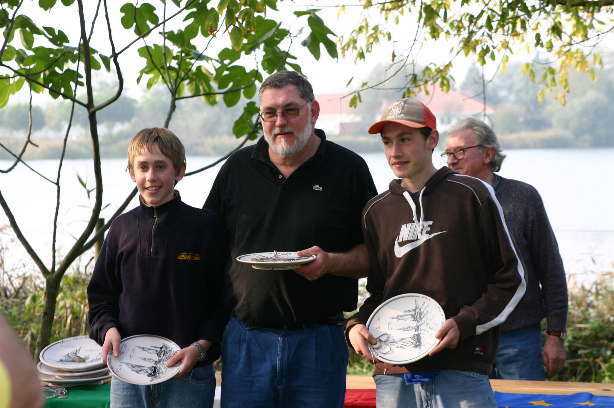 Ludo Smeets, Sigurd Hauenschild, Erich Costa. 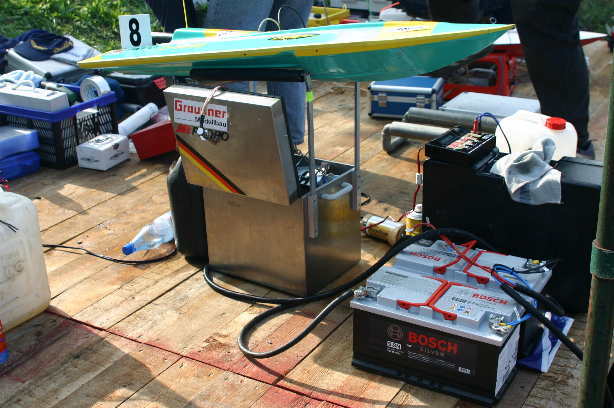 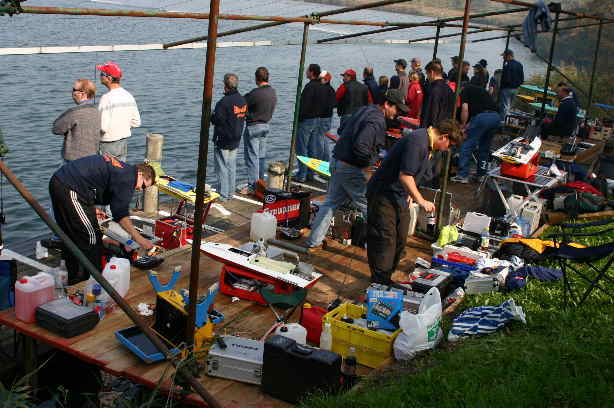 The boat of Jürgen Weingärtner with lots of battery power available for the six hours.